« Happy Memorial Day from Working Well Massage! Want to make a huge impact in the field of massage therapy for the price of a cup of coffee? You can today! Recently I learned of a scientific study that is underway to measure how massage therapy impacts our health. 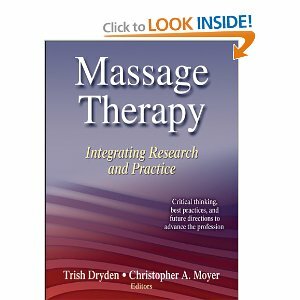 The study, conducted by a respected researcher in the field, Christopher A. Moyer, Ph.D, author of Massage Therapy Integrating Research Into Practice, is currently looking for a small amount of funding to compete the final report. At present, the study is only short $285! Consider donating $5, $10 or any amount of money to this important study to help reach the goal of full funding at $700 (which is a huge bargain considering the thousands of dollars that many scientific studies cost). EDIT 5-31-13: The study has been fully funded! Thanks so much to all who contributed. I will post details of the results as they become available in future blog posts. 1. Most of the research that has been conducted in the massage field has been poorly designed and lacks the controls and scientific integrity that the medical community deems essential for it to be valid research. Much of the studies measuring similar biological and psychological effects were done by very well-meaning people who alas did not apply appropriate research methods for the studies to be considered valid. two devastating but unfortunately prevalent disorders in the U.S. But we don’t know how or why massage has this effect. This current study may lend some insight into he mechanism of action of massage on our mental health. 3. Few studies on massage therapy are conducted in the public eye with the opportunity for clients and massage therapists to have a direct say into what we would like to be studied or what is important for us to learn about the effects of massage therapy. Funding this study is a way to vote with your wallet to let the massage community know what you consider to be important research. • How is massage able to reduce anxiety and depression? • How does massage help the body to recover faster from injuries and to cope with painful conditions? • How much massage is necessary to provide a therapeutic effect? • Are there any aspects of massage therapy that tend to increase sympathetic nervous system activity and/or which decrease parasympathetic nervous system activity? The funds being requested are to ensure the completion of this project. Data collection for 60 sessions of massage therapy, which enabled collection of heart rate, heart rate variability, electrodermal response, and mood state, has already been completed under laboratory conditions. This data was collected while Dr. Moyer was an assistant professor of psychology at a university in the upper Midwestern United States. A family health emergency caused him to leave that position before the data analysis and report writing could be completed. Dr. Moyer is requesting funds which will allow me to complete this important study. 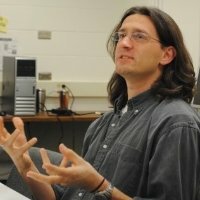 Who is Christopher A. Moyer, Ph.D. and Why Should We Listen to Him? Christopher A. Moyer, Ph.D is a psychological scientist who uses a variety of methods (e.g., meta-analysis, clinical trials, psychophysiological and neuroscientific laboratory assessments, survey construction and administration, et al. ), combined with and informed by clinical training and experience, to study when, for whom, and by what mechanisms massage therapy, the manual manipulation of soft tissue intended to promote health, wellness, and performance, can be beneficial. In addition to this main focus, I am also interested in studying other modalities, such as meditation, that involve self-regulation, both for their own sake and as a way to broaden my perspective for understanding massage therapy as an intervention. He obtained his Ph.D. from the University of Illinois.